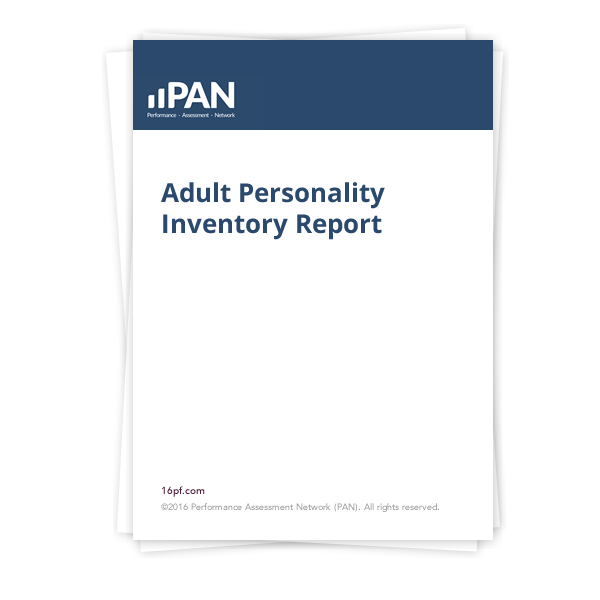 This in-depth, 324-item self-report questionnaire analyzes individual differences in seven personality characteristics, eight interpersonal styles, and six career/lifestyle factors. Part 1 deals with patterns that characterize broad segments of behavior, including overall adjustment, cognitive style, and achievement orientation. Part 2 focuses on how the individual relates to other people by evaluating eight different styles and providing a chart of the scores plus a narrative summary. Part 3 examines occupational and life style preferences from the perspective of six different orientations that are present to some extent in all of us. In addition, a Profile Pattern Code, Validity Scores, and Item Responses are also provided in the report. The API is a tool for selection and placement, development, career and outplacement counseling, and personal counseling.